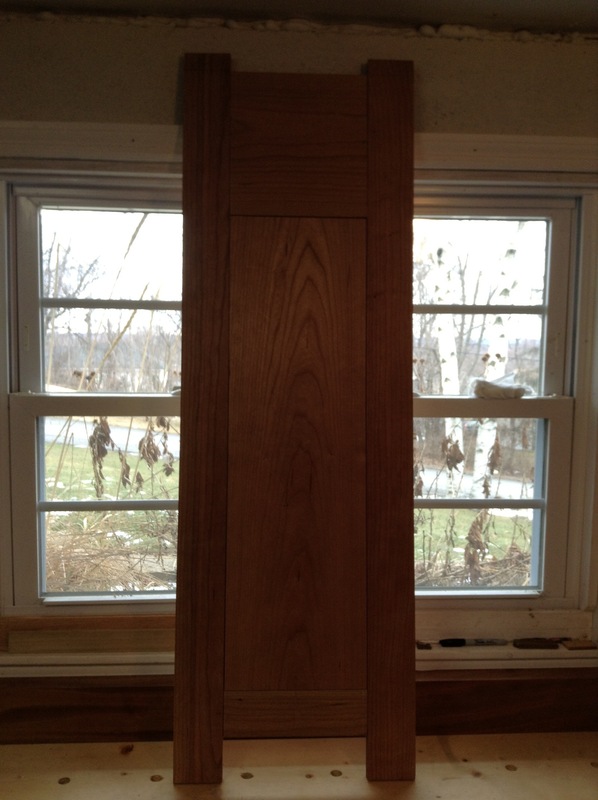 The first thing I did was trim the panel to it’s final size. After that, I had to decide how I would go about raising the panel. After some research, I decided to follow the technique demonstrated at ‘in the woodshop‘. **aside [This guy is awesome. 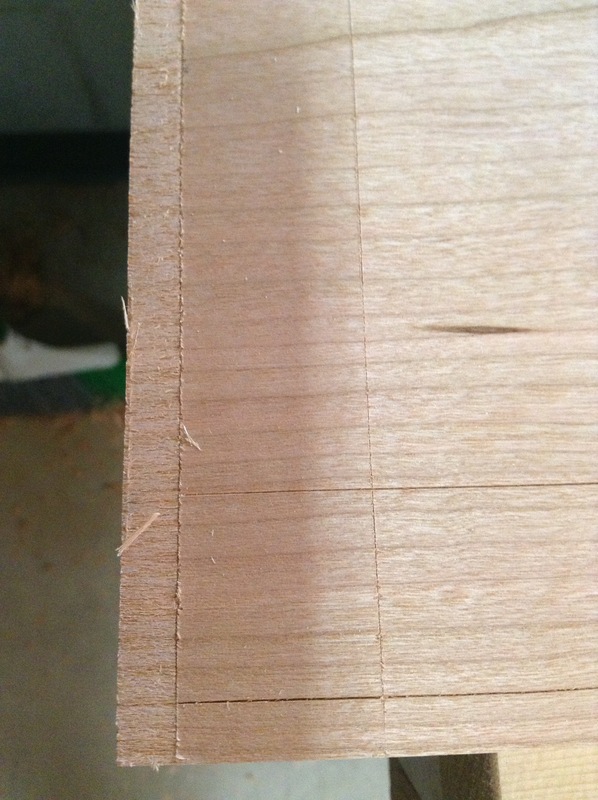 ]** Basically, you cut a tongue around the panel to fit in the grooves…no problem. Then raise the panel by creating a bevel from the tongue to your reference line. I started on the end grain cutting the tongue. 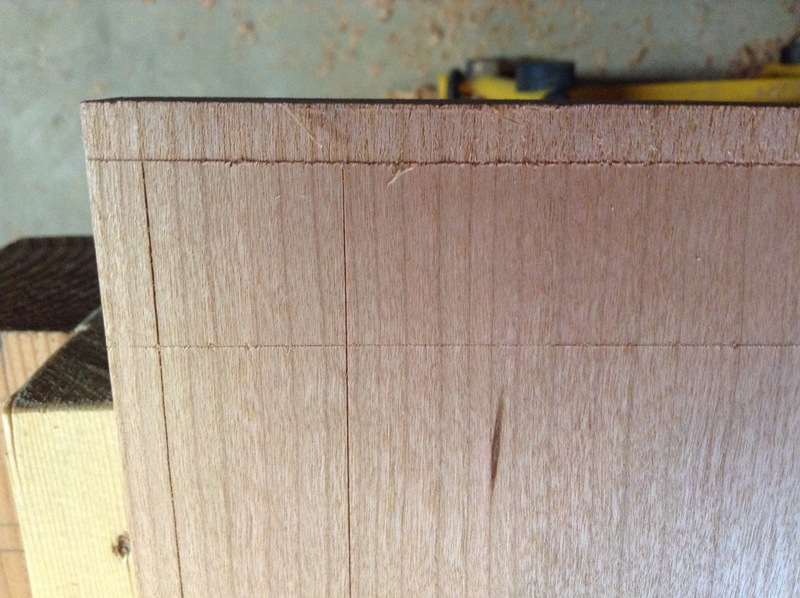 I first set my marking gauge to the groove width, then scribed a line all around the panel to mark out the tongue. I also set a second gauge to mark out the face for the tongue and the bevel. As you can see there was some tear-out here. I had to make sure and re-establish my knife line with the gauge periodically. 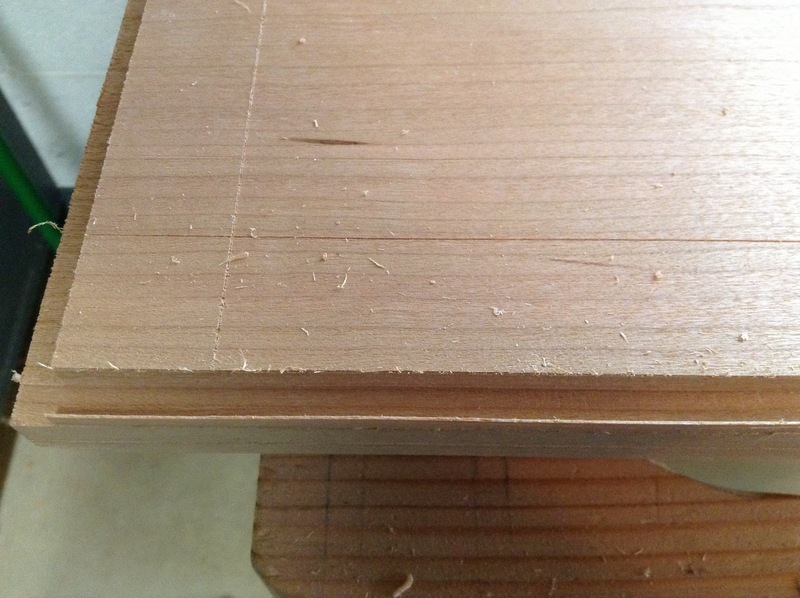 The resulting tear-out is negligible, as it will be cleaned up when I cut the bevel and do a final cleanup with the smoothing plane. 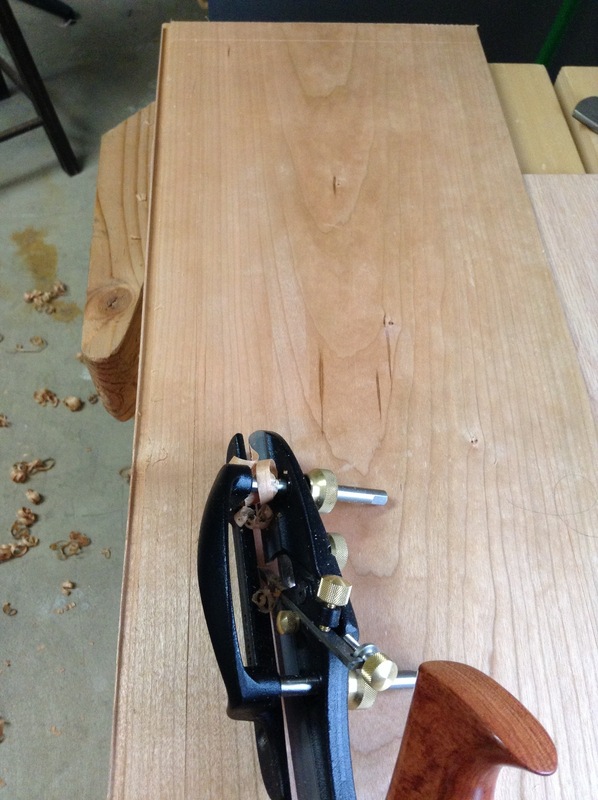 Then I continued to use my plow plane to cut the tongue on the long grain. 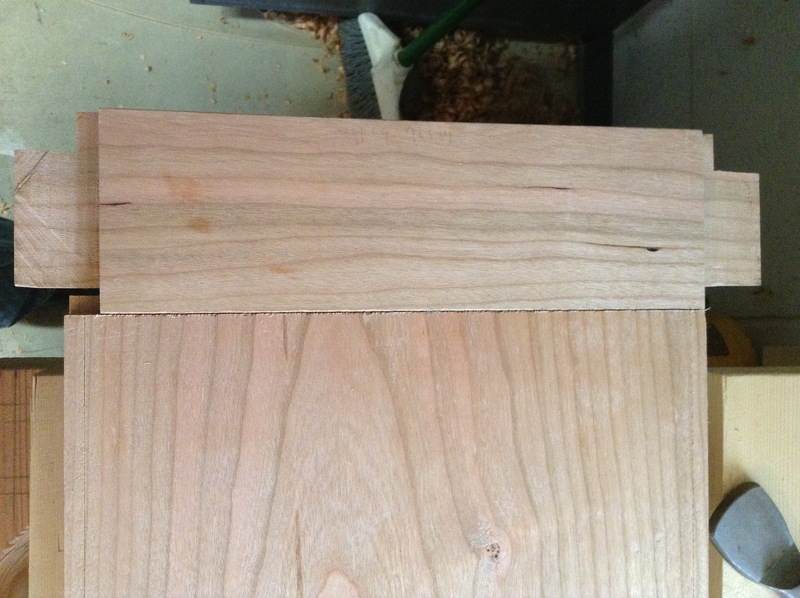 As you can see there was a small amount of wood left that I had to break off and clean up with the chisel. Once I made it to the right depth, I flipped the panel over and began the process over again. I made small adjustments to the depth stop on the plow plane until I had a perfect fit. Next up…I’ll try and raise that panel. 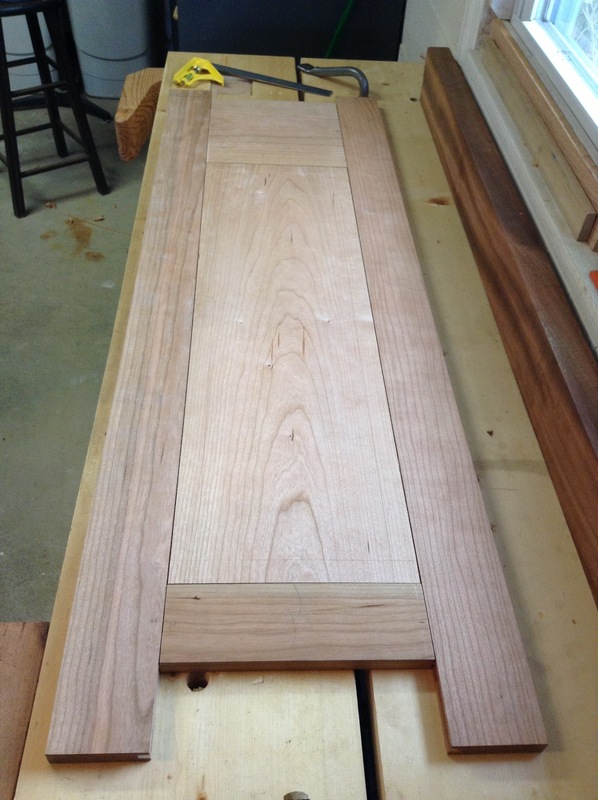 This entry was posted in Chiffonier, furniture, hand tools, VCF, woodworking and tagged cherry, chiffonier, furniture, hand tools, plough plane, woodworking, workbench, workshop by villagecustomfurniture. Bookmark the permalink.